Every now and then one of my sons insist on a silly photo. 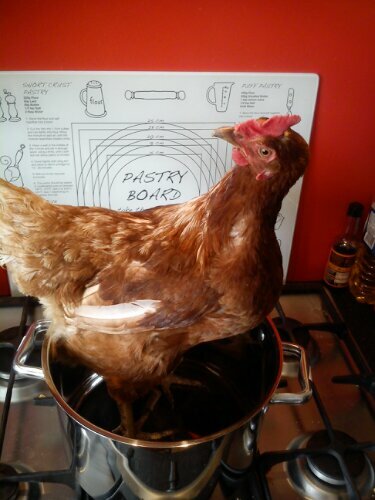 Today we bought a big stock pot for slow boiling gammon in and D said I should put one of our chickens in it…. So I went and got Fajita. Fajita likes being hugged, chatted to and handled. She even posed sweetly for the photo. And nope, she’s not food, pets are never dinner here. I’d love to keep chickens – rescued battery hens. The hubby isn’t convinced and thinks they’ll make a lot of noise. Plus, we argue constantly over whether you need a cockerel if you want them to produce eggs. 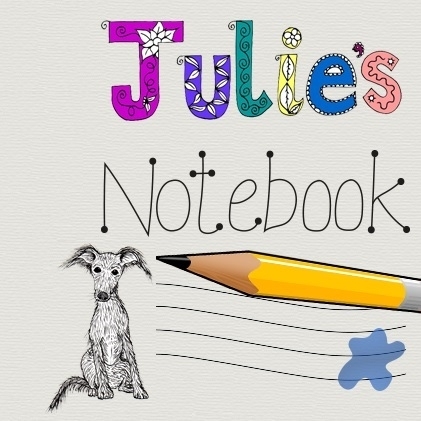 Linda Hobbis recently wrote… Review: Justin’s World Jigsongs App for iPad / iPhone. I can settle this argument, no! We haven’t got a cockrel but we get two eggs a day. Melanie C recently wrote… A Little Bonne Chance …..